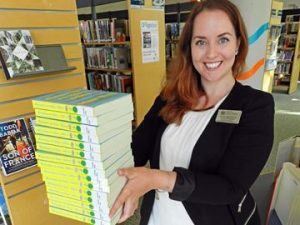 Sarah Macintyre is Manager, Access Services at St. Thomas Public Library. Over the past 5 years, she has overseen many new digital initiatives, including makerspace services and offsite lending technologies. An active OLITA member, Sarah is interested in how libraries can inspire and engage their communities. Her favorite kind of pie is blueberry.